Joe Torres is a Venezuelan director, scriptwriter and producer born and raised in Caracas. In 2003 he moved to Barcelona, where his first two films, both documentaries, premiered — Dostrece and elTALLER. As an advertising film director, he has received awards from Cannes Lions, D&AD, El Sol, CdeC, Laus, Ojo de Iberoamérica and FIAP, among others. The campaign “El pueblo en el que nunca pasa nada”, by the Madrid-based agency Shackleton, won seven Lions in 2009 in Cannes, becoming the fourth most awarded campaign worldwide, according to The Big Won Report. 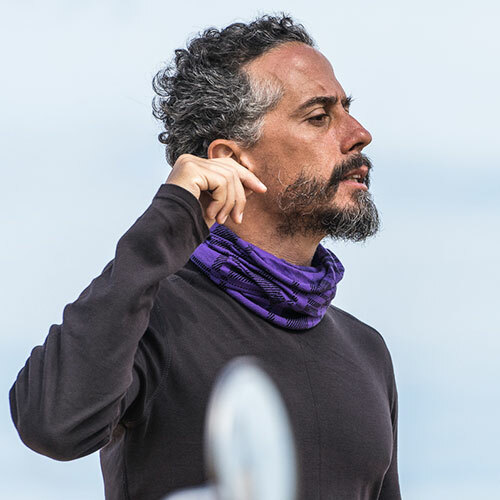 Nominated in 2013 for a Latin Grammy, and once again considered one of the best advertising film directors on the global scene at Cannes, Joe currently devotes much of his time to preparing his first feature film, La otra isla, an adaptation of the novel by acclaimed Venezuelan writer Francisco Suniaga. La otra isla [co-written with Karin Valecillos and Marcel Rasquin] — A man floats lifeless on a beach. Benítez, a failed lawyer, must investigate what happened. Facing his darker side will be the only way to find the truth.